Today we celebrate all the important men in our lives, the ones who have always been there to endlessly (and patiently) care for us. We call these men our fathers, but also our uncles, grandpas, brothers, teachers—they are and have been influential figures in our lives, and their guidance has made us who we are today! Now, we know that there are many ways to celebrate dad's day, but we think the best way is to take a moment to bring out the dusty photo albums stacked away in the cabinet of your house and reminisce on stories with your dad when you still held his hand to cross the street (tbt). You can say our team is kind of fond of photographs, especially the ones in good old #vintage albums. Diving into some photo-nostalgia can help remind us how important it is to capture moments, and hey, maybe also help you start a company as it did for Val, our very own CEO and co-founder of Shoot My travel. "I didn’t grow up physically with my dad because he passed away months before I was born, yet I've always felt he was there by my side. In part because my mom and family always made sure he was always present, and would share pictures, and anecdotes of his life. He was obsessed with photos and thanks to those photos I was able to meet him and feel closer to him, he left his legacy behind and now we are paying it forward." Also, if you’re thinking of getting something for these special humans, don’t opt for yet another tie. Why not give the gift of memories? Go out, have an adventure, and make sure you capture it. Speaking of gifts, a SMT photo tour could be the perfect way to spend some quality time AND also have memories to cherish forever (and thanks to the “cloud” we literally mean for.ever.)! Just remember, any occasion is a special one! And, we hope you think of us to help capture your next memory. PS. 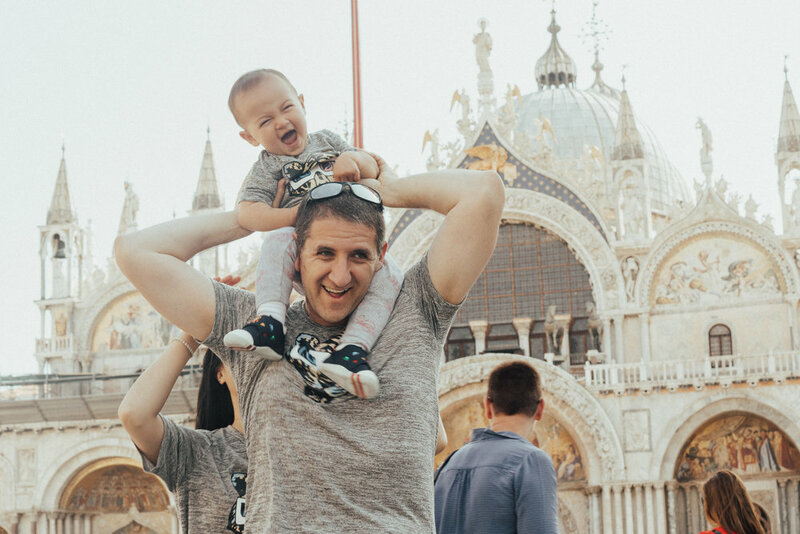 Here are some of our favorite Shoot My Travel dad-moments!